The day honoring first-year scholarship recipients experienced changes this year. Typically, Top Scholars Day was held on a Saturday, but this year the event was on Friday, Feb. 1. Additionally, the program added aspects of Admitted Student Day, so students attending Top Scholars Day wouldn’t need to attend two separate events. Mark Petty, dean of enrollment, said having the event on a weekday allowed potential students to get a sense of what campus is like during an academic day. “They can see what life is like in the Muenster University Center (MUC), they could experience a classroom and they could engage with more faculty and staff that are not usually here on the weekends,” Petty said. Before students can attend the event, however, they have to go through the scholarship application process. Applications are first sent online and reviewed by members of the university’s scholarship committee. One of the 16 committee members and political science professor, Eric Jepsen, said the committee is comprised of faculty members, community members and students. After those applicants are narrowed down, the committee is joined by other volunteers to interview candidates through WebEx, a video calling system, Jepsen said. In the past, students were invited to campus to interview over a two day period and then again for an interview for a specific scholarship if chosen, Petty said. Some departments, such as the Beacom School of Business, have already awarded department specific scholarships before Top Scholars Day. Venky Venkatachalam, dean of the Beacom School of Business, said in an email interview with The Volante the department instead uses Top Scholar Day as an opportunity to host events for honored business students. Other scholarships, like the Glenn E. and Barbara R. Ullyot Lakota Scholarship, are conducted in person during Top Scholars Day. If students are not able to make it to campus for those types of interviews, exceptions can be made, Petty said. 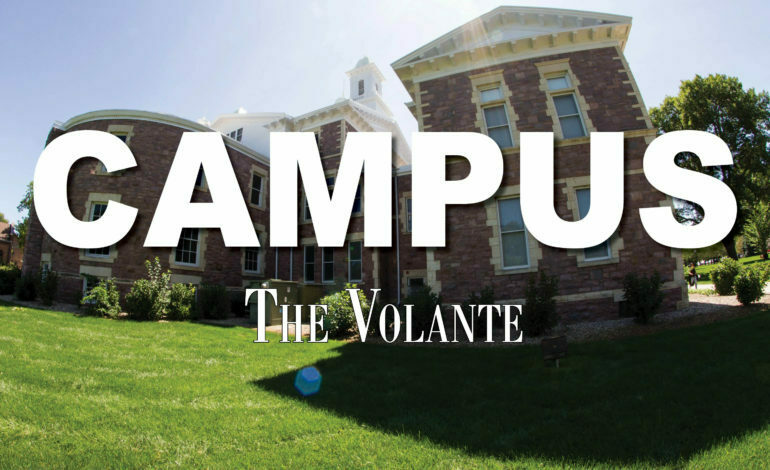 Honored students were also able to eat lunch with USD President Sheila Gestring, attend informational sessions and register for classes, Petty said.